“Aloft - An Inflight Review” is a joint publication of the Heinrich Böll Foundation and the Airbus Group. In the following interview Ralf Fücks explains how such a co-operation project came about and what steps need to be taken to make air travel more environmentally friendly. Boell.de: A joint publication by the Foundation with Airbus Group – this is a new departure. Tell us about the reasons behind this step. Ralf Fücks: To be able to fly is one of humanities oldest dreams. Even supporters of the Green Party may say so – especially because they tend to fly more than any other group in society. Today, air travel is the epitome of global mobility. The same is true for the division of labour within the international economy, as well as for politics, science, the arts, culture, sports, and vacations. The flipside of this development is the ever greater impact it has on the environment. 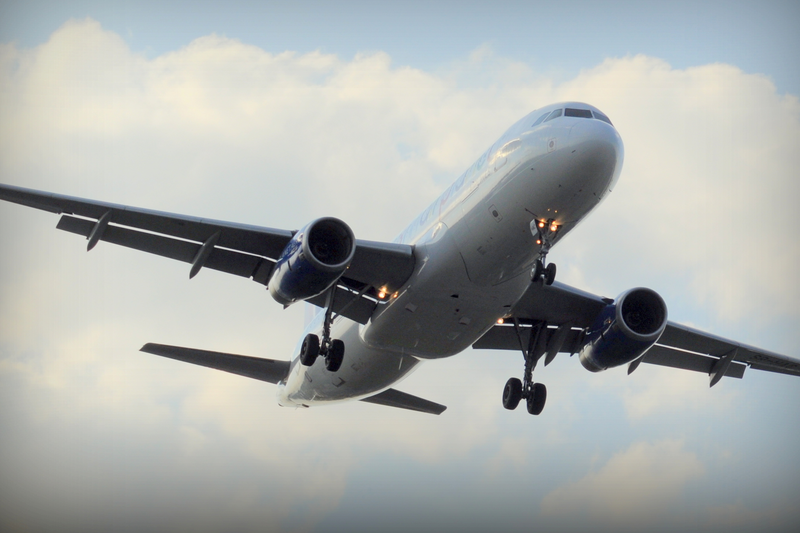 Air travel results in emissions that are harmful to the climate, in noise pollution, as well as in land consumption and a shortage of resources. This is a conflict we have to face up to. This is why, over the course of last year, we have held a number of expert roundtables with Airbus – conversations to which we also invited Green politicians, environmental associations, airport managers, and spokespersons for Lufthansa. The present publication sums up the results of these talks. So, how damaging is air travel to the climate? Today, air travel causes about 3 percent of all CO2 emissions that are relevant for climate change. All types of emissions combined – water vapour, carbon monoxide, nitric oxide, and hydrocarbons – its share is about 5 percent. And consequently we all have to fly less, right? This is a noble idea, of course, yet it won’t really solve the issue. The global increase of air travel is a foregone conclusion. Today, humanity is at 3.3 billion plane trips per year. Over the next twenty years, this figure will double – as will the number of planes in the skies. High growth rates are predicted for Asia, the Middle East, and Africa. At the same time, we will have to reduce greenhouse gas emissions radically towards a “zero emissions” target; there is just no other way to save the climate. This sounds like squaring the circle. However, I view it as a challenge. Then what do you suggest we should do? Short distance flights have to be shifted towards rail travel; some plane trips can be replaced by video conferencing; and one should forgo short vacations in, let’s say, Mallorca or London. All of this may reduce the increase in air travel – however, it will not stop it. The crucial solution will be radical technological innovation aiming at air travel without carbon emissions. By designing new planes, by powering them differently, by using new materials, and through new production methods such as 3-D-printing. Alternative fuels are another major factor, including next-generation biofuels such as jet fuels produced from algae. Another option is regenerative methods of hydrogen production, and, finally, electric-powered planes will play an increasing role – this is already the subject of major research efforts. That sounds alright. However, won’t it take way too long? Currently that’s the case. We need faster ways to achieve climate-neutral air travel – especially because today’s new planes will be in service for 30 or 40 years. There are many important and sensible steps we can take, for example introduce a “Single European Sky.” This alone will lead to fuel savings of about 10 percent. Can we really rely on innovation driven by enterprise? No, not at all. To achieve environmental innovation in air travel, we need political pressure. Part of this is greater true-cost pricing, for example by making air travel part of the European emissions trading scheme – or by taxing standard jet fuel. This is not possible without state intervention. Air travel has to become part and parcel of the global CO2 emissions reduction regime. For this, the Paris Climate Agreement presents a useful lever – for example, in order to achieve mandatory goals for CO2 reduction beyond 2020. It is not acceptable to propose nothing but offsets for the greenhouse gas emissions caused by air travel. All in all, how do you rate the dialogue with Airbus? It certainly wasn’t an exercise in backslapping. However, it was a very useful undertaking – and the challenges the industry will have to face up to have now been put on the table. Also, we have learned some valuable lessons regarding the actual technological potentials, and this presents us with many openings for future co-operation projects. The issue of state intervention remains controversial. In the end, this will have to be resolved by governments and parliaments. Airbus’ production is not limited to civilian aircraft. What about military planes? Airbus’ military activities were not part of the talks. Our differences of opinion are well documented – especially regarding the export of military hardware to flashpoint areas. On this issue, both Tom Enders (the head of Airbus) and I have contributed op-ed pieces to Germany’s Frankfurter Allgemeine Zeitung. Generally, however, we did focus on the question of how to reconcile the growth in air travel with climate protection. Our publication presents the outcome of this debate. What is the aim of the publication? If we succeed to stimulate debate on the issue of sustainable air travel, it will have served its purpose. Our aim is to reach as many people as possible. The fact that we have Airbus as our partner means that people will not be able to discard our proposals as nothing but wishful thinking by a bunch of environmentalists. Airbus, too, will have to live up to the suggestions it has made. The Foundation has successively focussed on the chemical industries (German), the car makers (German) (see also: Der Güterverkehr von morgen), and now the aircraft industry. Do you have further, similar dialogues in mind? Right now, there are no tangible proposals. First, we will collect all these debates in a book that will focus on the Green transformation of enterprise. This book will also address energy, IT, and engineering companies. Everyone who is serious about saving our climate will not be able to get around the industrial sector. Translated from the German by Bernd Herrmann. Kerosene made from algae oil to make jet fuel sustainable. Aviation is a good example of how emissions reduction targets can be met without cutting emissions. Flying is a central component of the globally networked world. At the same time, the environmental impact can no longer be ignored. Our dossier provides facts and infographics on the current state of technological developments and the political debate surrounding the sustainable future of air travel. The EU wanted to exert international pressure to speed up the reduction of carbon emissions in air traffic. However, it failed because its climate policy met with existing conflicts of interest.